Call Us for a Fredericton Crane Rental and Operator You can Depend On! Capital Crane Rentals offers hydraulic crane rentals with capacities ranging from 50 to 100 tons. 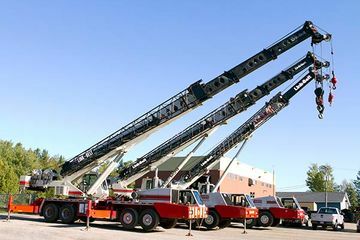 Crane rentals come with a licensed, certified and experience operator, ensuring the success and safety of your project. With our modern hydraulic cranes, we have the ability to work in confined spaces. Lifting beams and spreader bars are useful in maintaining a proper grip on items, lifting up instead of inwards. If you’re looking to apply rocks on a flat, commercial roof, concrete buckets are really the way to go. We also have three types of pallet fork available. Each crane rental comes with an experienced operator to ensure the safety of your worksite and the success of your project. 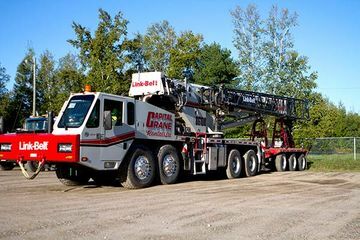 Why Go with Our Fredericton-Based Crane Rental Service? 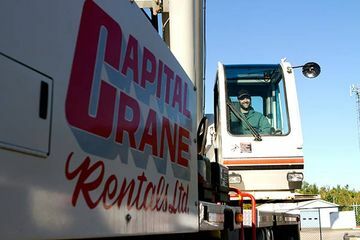 Whether you’re looking to put up roof trusses, deliver a rooftop HVAC unit, or simply change lights in a sign or lamp post, Capital Crane Rentals offers better options when it comes to renting a crane in Fredericton. Other uses for a crane can range from installing large commercial HVAC units and gas station holding tanks, to assembling modular homes. With hydraulic cranes, the setup time is much quicker; we get it down the highway, the operator sets it up and we then complete the project in a short amount of time. Make this the most stress-free project you’ve ever completed — call Capital Crane Rentals for a free estimate! Spec sheets are available upon request.